We talk a lot about how our food system is broken. A look around the globe reveals signs of hope and healing as well. 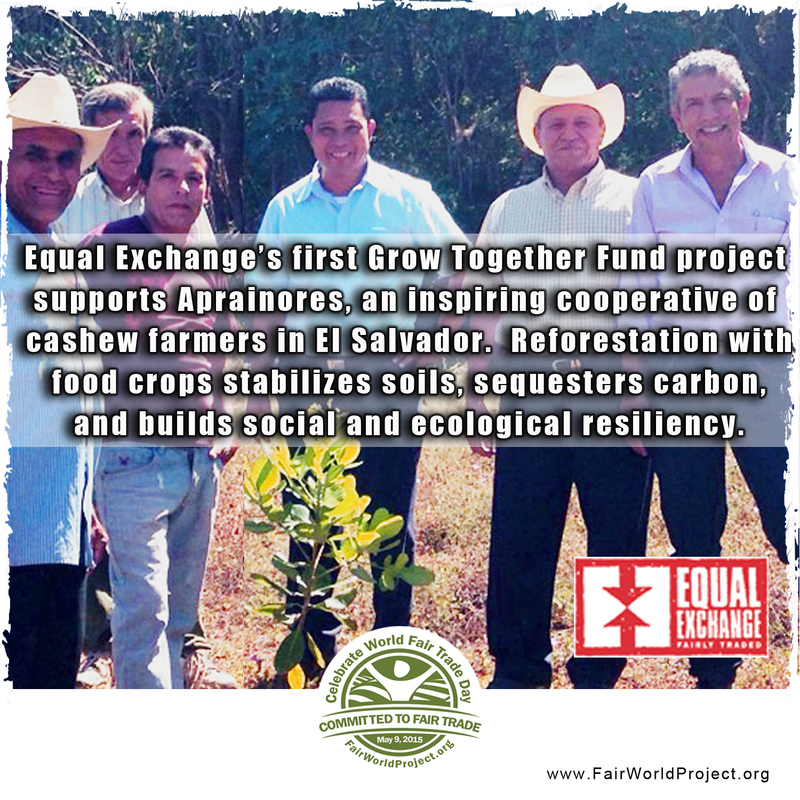 In our own recent blog post we report on the efforts in El Salvador to elevate the needs of local small-scale farmers and food sovereignty above the dictates of global trade policy. A recent New York Times article details the efforts of smallholders in India, primarily women cultivating less than two hectare each, to rejuvenate their farms and finances using agro-ecology practices, breaking their reliance on local dealers for seed, chemicals, financing, and advice, all of which has only led to debt, toxic fields, and low yields in the past. As we approach World Fair Trade Day (May 9th), we are also telling stories of hope. We have partnered with nine brands committed to fair trade principles and practices. All of them will be featured in over 1,000 retail stores over the next two weeks with demos, samples, and discounts. Beyond that, we are also telling the stories of the impact they and their partner farmers are having on the ground. The theme for our World Fair Trade Day is Small-Scale Farmers Cool the Planet and this is presented in the context of the UN International Year of the Soils. Through composting, planting trees, and investing back in their farms, fair trade farmers from Palestine to Sri Lanka to Central and South America are improving the quality of soil, sequestering carbon, and creating economic opportunities. Follow us on Facebook and Twitter to learn more.